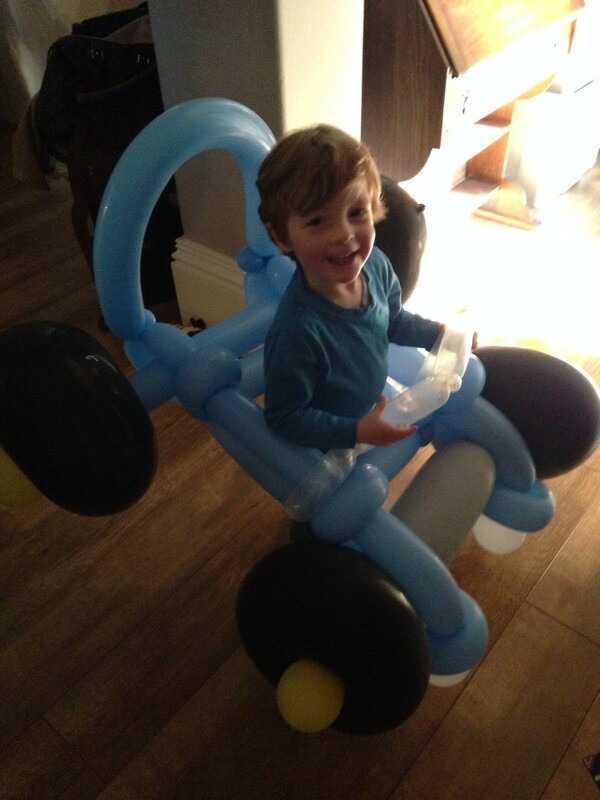 Balloon Modelling is becoming an ever bigger part of what I do. 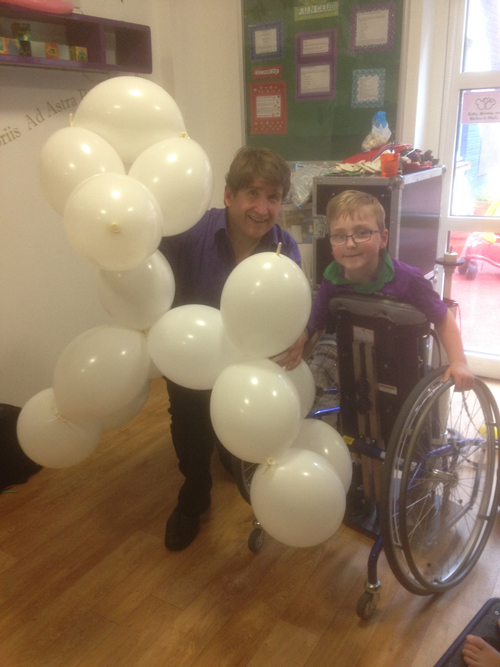 I regularly make balloon models for sick children in hospitals around the south west, including “The World’s Largest Balloon Dog!” I work for POD children’s charity who do such a great job and are well worth supporting. 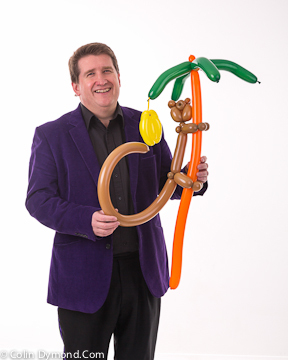 I even have a talking balloon model that Snot The Dragon uses to do ventriloquism. 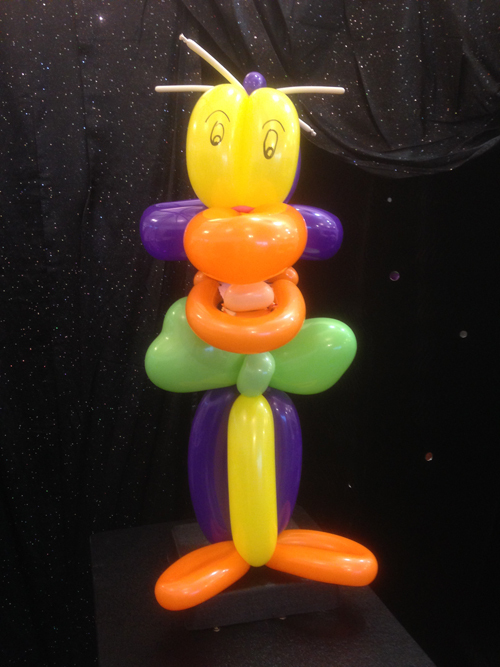 I am now offering a Balloon upgrade to all my children’s parties, this includes a simple balloon dog or butterfly for all the children plus a special, larger animal or super flower for the birthday child. 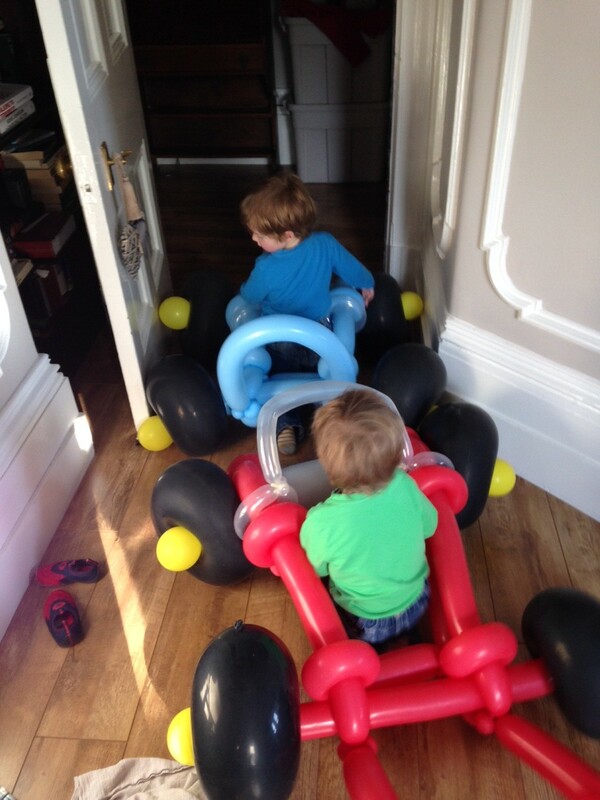 I can also make the “ride inside” balloon cars, super balloon poodles, these are made up with 15 12″ balloons and large monkeys up trees. 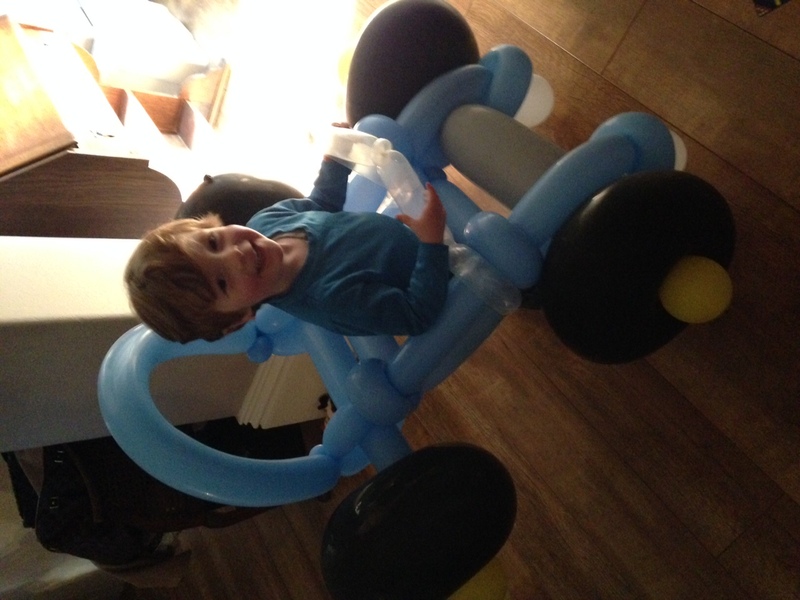 To order the super balloon models, either as a one off model or to add to a party package. Use the contact page to get in touch. 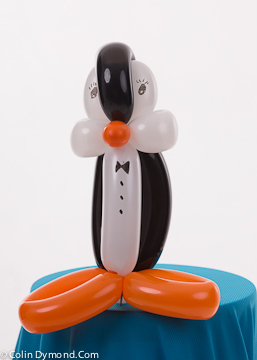 There are many more balloon models I can make, just ask!